Happy May Day every one! (I’m celebrating Spring in the United States, not the USSR’s holiday – just to clarify.) Temperatures are moving upward, so it’s shorts weather. Also time to start those outside projects that have waited until winter came to a close. I have 6 cy of soil to move, then the planting, topped off with ground cover rock. We’ll see how motivated I am. Today’s PS Challenge image comes from Piper’s Opera House in Virginia City, taken during our visit on Saturday. 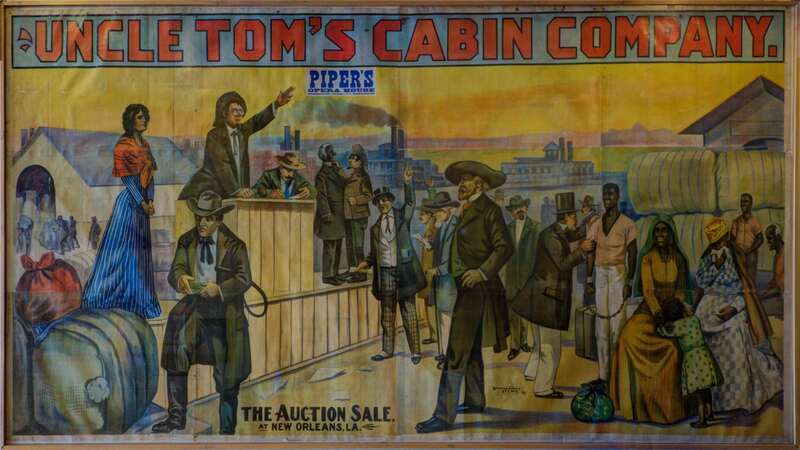 This is an old sign advertising a show at Piper’s, on display in the lobby area. The light was terrible and the best view obscured by its placement on the wall opposite the grand staircase. I bracketed exposures to improve my chances of getting a good, usable image. I processed the bracketed exposures in Photomatix, then cleaned things up in PhotoShop. I had to ‘warp’ the image to make it fully presentable, due to the camera optics and combining the exposures. I like the result.